Accounts of Bigfoot-like creatures in China date back nearly 3,000 years. 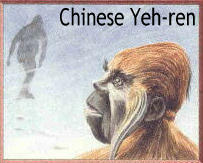 One of the best-known of these creatures in modern times is the yeren, or “Wildman”, in the central province of Hubei. The earliest report of a Wildman appears in a local chronicle of Hubei’s Fang County in the 17th century, where the author claimed that a large number of them could be found on Mt. Fang. There were hundreds of sightings of Wildmen in the 20th century, and people still report seeing them today. 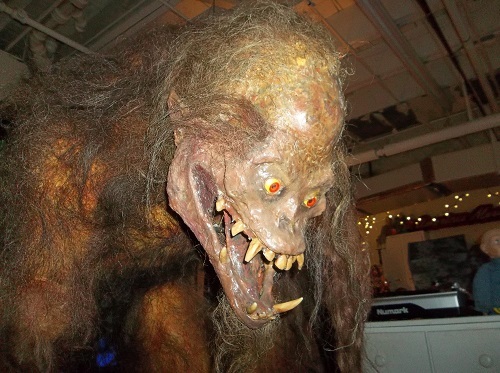 The typical Wildman is described as being about 6 between 8 feet tall, and covered in long red hair, although Wildmen with black or white hair have also been reported. They stand upright like humans and have long, powerful limbs. They communicate by grunting, but are also capable of laughing and crying. There are records of encounters with male, female, and children Wildmen. While the Wildman had long been known by peasants, scientists only began to take an interest in the creature’s existence in the latter half of the 20th century. In 1940, while traveling on a bus through the province of Gansu, a biologist named Wang Zelin found a group of “Wildman hunters” who had shot and killed a female Wildman and planned to take it to the county government. Wang described the corpse as being about 2 meters (6.5 feet) and covered in thick grayish-brown hair. The locals had said this Wildman had been living in the area the past month. In the early 1950s, a geologist named Fan Jingquan claimed to have seen two Wildmen in the province of Shanxi. Over a period of three days, Fan and a local guide twice observed a mother and baby Wildman in a forest outside of Baoji City. While the mother was cautious, the child was more than happy to interact with the two men, and it even took chestnuts from them. Fan’s guide told him that the Wildmen lived in a near-by cave, and often came to the forest during the autumn and winter seasons to pick chestnuts. The first serious effort by scientists to investigate the Wildman occurred in Yunnan province in 1961, after a group of construction workers claimed to have found and shot one. China’s official Academy of Sciences could find nothing to corroborate the workers’ claims, and although there were more investigations over the next dozen years, nobody paid much attention again until a series of Wildman sightings in Hubei in 1976. On May 14th of that year, six government officials were driving through the border area between Fang County and Shennongjia when they noticed an ape-like creature about 5 feet tall standing on the road. After almost running the creature over, five of the men got out of the car to take a better look at it. The creature did nothing but stare, and it walked back into the forest after one of the men threw a stone at its hip. Several weeks later, a peasant woman and her four-year-old son were walking up a mountain ridge when they saw a Wildman rubbing its back against a tree. Once the creature realized the woman was watching it, it took off chasing her. The woman ran for more than a mile before she looked back and saw that the creature was no longer on her trail. When the Chinese Academy of Sciences investigated the encounter a month later, they found primate-like hair in two different spots on the alleged tree where the creature was rubbing its back. A third sighting had happened on October 18th. A schoolteacher and some of her students were picking fruit on a mountain when they saw a Wildman walk past them and up a hill. 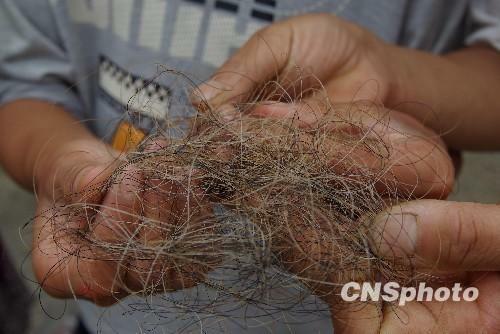 Several large-scale investigations were then launched in Hubei over the next couple of years, but none of the investigators found anything more than samples of hair, feces, and 18-inch footprints. In January 1999, after decades of searching, the Chinese Academy of Sciences announced that the Wildman didn’t exist. Some scientists have suggested that reports of the creature are just confused sightings of primates like the golden monkey or the gibbon. Cryptozoologists, however, believe the Wildman could be a descendent of the Gigantopithecus, a sort of 10 foot ape that lived in Asia and went extinct more than 100,000 years ago.